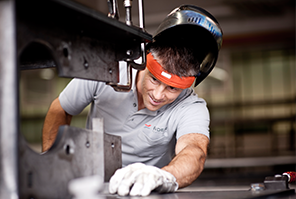 We are experts in providing special conveying solutions: covering everything from project planning, in-house design and on-site manufacture to assembly and commissioning at the location of use. Our portfolio also includes upgrading and updating existing machinery and providing operator training after successful commissioning. A staff of more than 50 skilled and competent professionals with innovative ability guarantees our quality and delivery reliability.